Was getting your business going a culture shock? 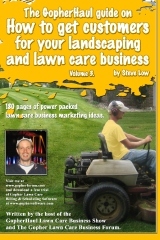 What to do if you are a lawn care business owner with many tattoos? 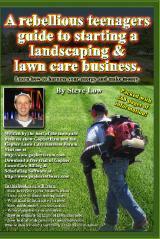 Help getting new lawn care customers. Applying knowledge learned from a previous employer. 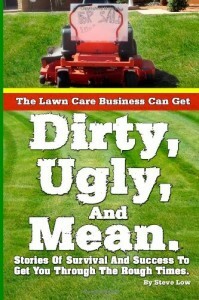 Being obsessed about your own lawn care business. 3 weeks and no new lawn care customers! Why? 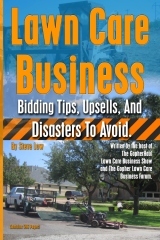 How to improve your lawn care business cash flow. 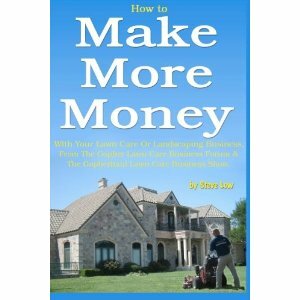 Big money in maintaining foreclosed homes. 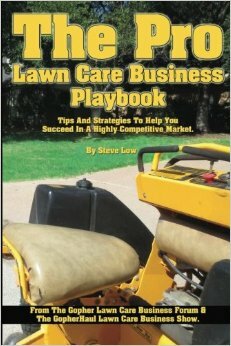 How to come up with your lawn care customer base goals for next year? 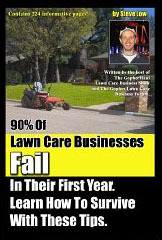 If you are like most lawn care business owners, you want to see your business grow over time. How are you going to do this though? Do you have a plan? 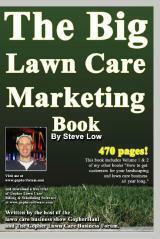 What are your lawn care customer base goals? That is the amount of base customers you want to be servicing weekly. Fall leaf clean up marketing idea with inflatable halloween decorations. You could even take this idea one step further and put up an inflatable halloween display on your property and maybe at the home of your family or friends in town too to help promote your services further. 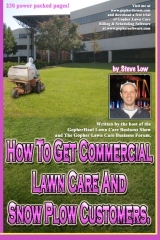 Join this discussion at the Gopher Lawn Care Business Forum. Use a stencil on the inflatable display. Fall leaf clean up lawn sign ideas. How cool would it be if you could get a whole bunch of these fall leaf clean up lawn signs? Have them cut into the proper shape and then insert them through out the neighborhoods you service. It would be a really neat and visual way to offer your fall leaf lawn clean up services. A $250,000 lawn care truck? What does $250,000 buy you when it comes to lawn care equipment? How about this set up? These pictures were sent to us by our friend Brandon. 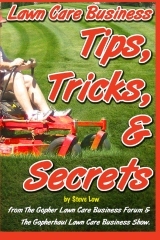 Check out his post here at the Gopher Lawn Care Forum. How much should I charge for a Tree Removal? A forum member made a post about bidding on a tree removal. I wanted to share this post from the Gopher Lawn Care Forum with you to help broaden your knowledge on creating an estimate for a tree removal. How to handle customers who only want their lawn cut every other week. 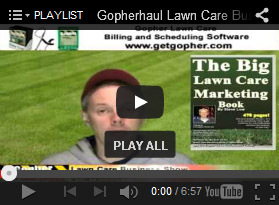 I am trying to consolidate all the great content we have created at the Gopher Lawn Care Software site. 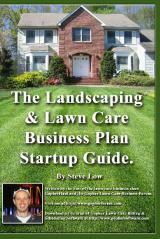 Here is a great collection of all our lawn care business podcasts. I put this winter lawn care clean up flyer together based on Keith’s suggestions. You can download it and edit in any way you want. It’s created with openoffice.org which is a free program similar to Microsoft Word. Download the file here Make sure you logged into the forum to download all files. Wohoooo! We are entering the blogging frontier. How neat!